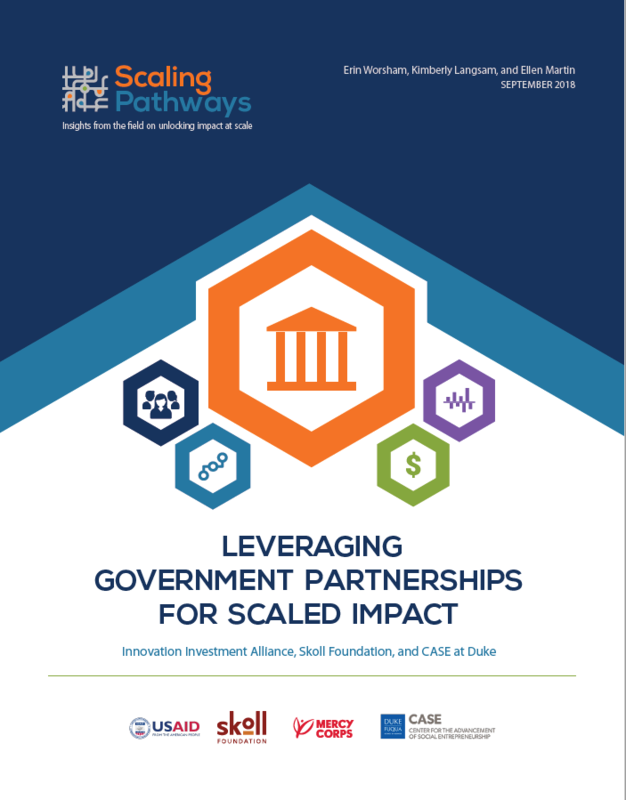 This month, Scaling Pathways—a collaboration between USAID, the Skoll Foundation, Mercy Corps and CASE at Duke—released its second paper in the Theme Study Series, “Leveraging Government Partnerships for Scaled Impact.” Emily Bancroft, President of VillageReach, shares strategies and learnings from nearly 20 years of partnership with governments which are highlighted throughout the paper; the blog below further illuminates the evolution of these partnerships. 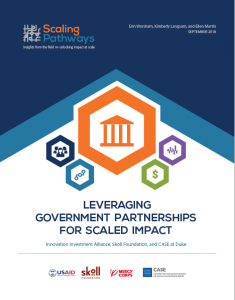 Governments are not the only pathway to scale for certain innovations. Some of our collaborative solutions – like VidaGas and OpenLMIS – have scaled through market adoption and revenue-generating businesses. 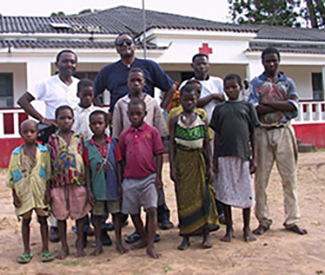 But when it comes to providing quality health care access at the bottom of the pyramid, the government remains that key player, partner, and scaler. Emily Bancroft is president of social venture VillageReach. Emily is responsible for the strategy, oversight, and management of VillageReach programs and global operations, working closely with a global team of more than 170 employees. 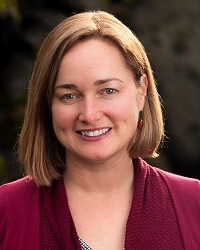 A leader in systems change, much of Emily’s work is focused on aligning governments, donors, private sector partners, and NGOs to help scale and sustain innovations. She is recognized for her global leadership in improving supply chains and for developing scalable and replicable digital health solutions in low- and middle-income countries.